I’ve probably mentioned how dry my under eye area is about a thousand times, probably more. I’m constantly trying out new concealers hoping that one of these will do everything I need it to do. When I think I finally found the one, it lets me down, and the search continues. As I was browsing through Sephora a few weeks ago I slowly made my way into the Urban Decay section. Now, we all know how much I adore Urban Decay so as soon as I saw these little babies, I knew I had to try them! 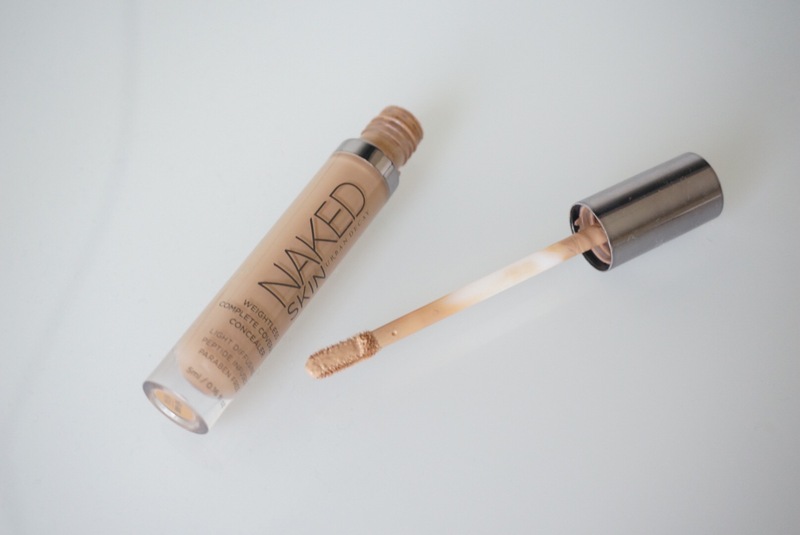 I’ve tried their Naked Skin foundation before, and it was actually one of my favorites for a while. Their Naked Skin line in general is pretty amazing if you ask me. Price: $28.00 (A little pricey if you ask me, considering the M.A.C Prolongwear is $20 and that’s one of the most expensive concealers I own). Where Can I Purchase? Urbandecay.com, Ulta, Sephora. Packaging: This little baby is small enough to throw it in your makeup bag and go. I love that it is weightless and travel friendly. It comes with a little dough foot applicator that I am actually obsessed with. It’s flat on both sides for easy application. The Applicator holds just enough product so you don’t have to worry about using too much or not getting enough. Consistency: Ugh. To. Die. For. This concealer is so creamy and so easy to blend out, it’s just like heaven. Super buildable. It’s certainly not like any concealer I have ever tried. The second I put it on, I could already see and feel a difference. It literally felt like it just melted into my skin. The best part? It didn’t even sink into my little wrinkles or cling on to my dry patches! Yay! Finish: It is a demi-matte finish. It isn’t super matte where it looks dry or emphasizes your dry areas. Overall: I’ve mentioned a few other favorite concealers in the past but when I tell you this has easily become one of my all time faves, I am not lying. Although I am not super happy with the color I purchased, I just cannot get enough of the consistency. This is the only concealer that doesn’t dry out my under eye area or settles into fine lines. So far it has become one of my holy grail concealers. 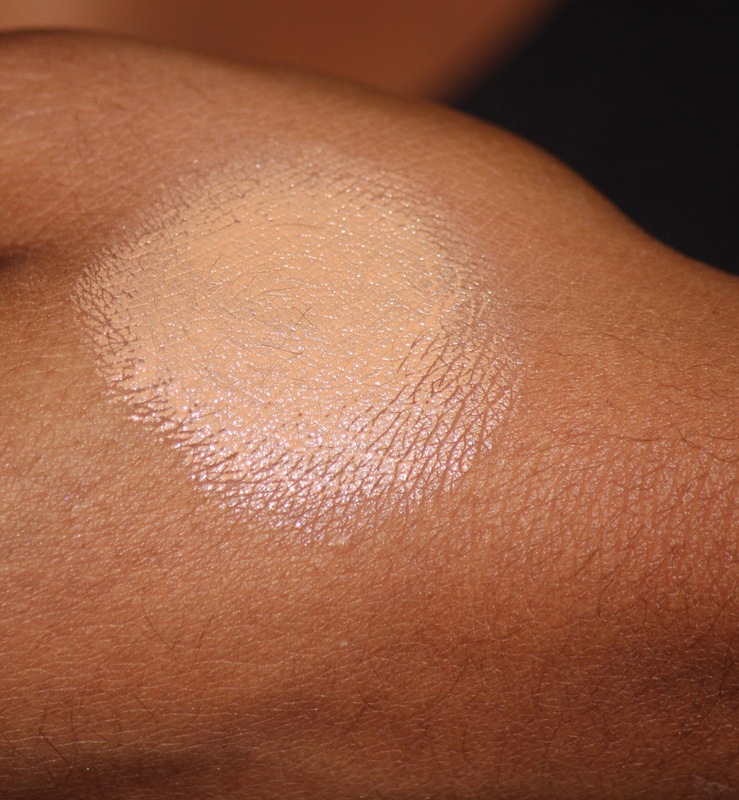 Picking out concealers can be a bit frustrating when there are thousands to choose from. Not only do you have drug store concealers but then you have all of the high end concealers that people rave about everyday. I have been sucked into the world of concealer experimentation! 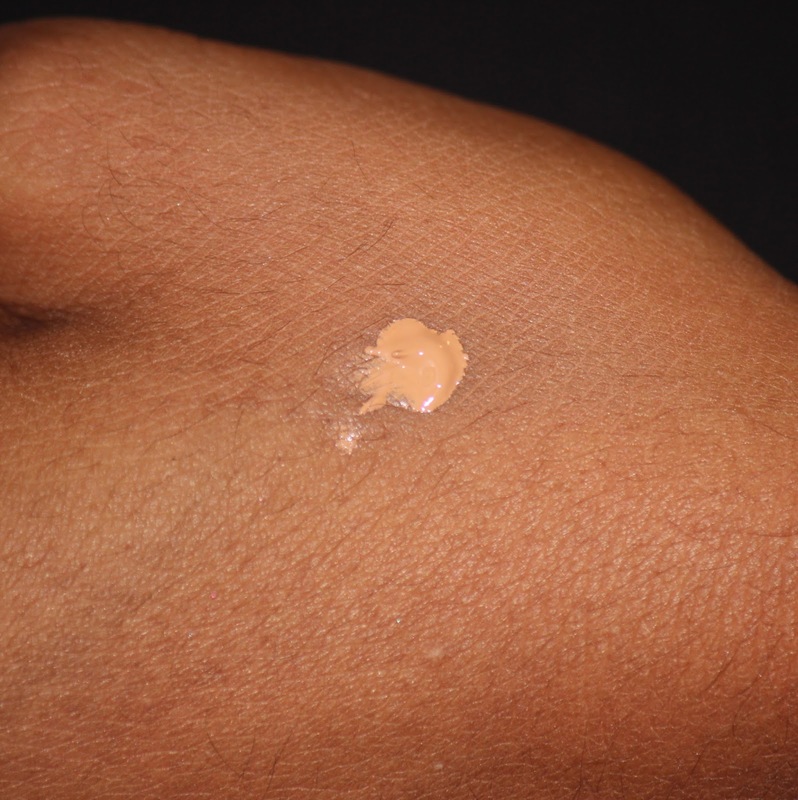 I’ve tried so many concealers in hopes that I would be able to find my one and only holy grail product, that I would love forever and ever but let me tell you it took a lot of testing until I finally found it! I thought I had found the one when I bought my M.A.C studio finish concealer but as time passed I realized it was amazing but my love for it was fading. I wanted to fall in love with a new concealer all over again. Now let me begin by telling you about my under eyes. I don’t really have problems with dark circles but I am still obsessed with a bright under eye. I mean who isnt? right. Everyone wants that Kardashian highlight under their eyes…or maybe it’s just me? well, i digress. The skin under my eyes is extremely sensitive and lately it was becoming dry and irritated more than usual. Since I was getting dry patches and little baby rashes under there, my M.A.C studio finish concealer was just sticking to the dry patches and I was looking type crazy. I did a little research and decided that I needed a hydrating concealer. Trust me, I tried everything in the market! Most of the one’s I tried (which I shall not mention because I don’t really like bashing products) were either drying but covered everything including my dry patches, or they would settle into my fine lines and wrinkles. so frustrating. I couldn’t find anything that was of thick consistency and long lasting but hydrating enough that it wouldn’t irritate my skin. Then one morning I walked into Ulta determined to find something and Wah la! there it was! Tarte had just come out with their new Maracuja Line that was supposed to be hydrating. I tried a little sample of it and loved the consistency then I read that it was waterproof and it was like love at first sight! so, enough about me lets talk about the product! Price: $24.00 USD for a 0.28oz tube. Ingredients: Caprylic/capric triglyceride, bis-diglyceryl polyacyladipate-2, VP/hexadecene copolymer, cetyl alcohol, silica dimethyl silylate, microcrystalline wax/Microcristallina Cera/Cire microcristalline, tocopheryl acetate, phenoxyethanol, caprylyl glycol, ascorbyl palmitate, passiflora edulis seed oil, titanium dioxide (CI 77891), iron oxides (CI 77492, CI 77491, CI 77499). Where can you Purchase? : Tartecosmetics.com , Sephora, Ulta. Anywhere else that sells Tarte products! * Extremely hydrating like they promise. 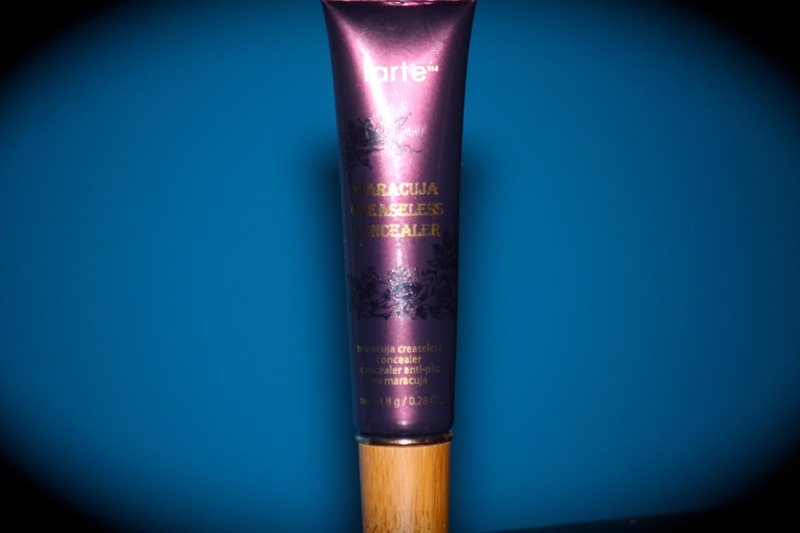 * Thick consistency, which is amazing for full coverage! * Very creamy so it is easy to blend out. * Lasts longer than most concealers I’ve used in the past. *Soothes your skin as you apply. * A tiny bit goes a looooong way, so it should last forever & a day! * Paraben, mineral oil, sodium lauryl sulfate, phthalates, triclosan & gluten FREE! Overall Thoughts: This is my holy grail as of right now! I havent been able to find something so amazing as this. I can literally feel it hydrating my skin as I apply it. I work all day so its such a relief to know that I won’t start looking like a zombie in the middle of my shift haha. so yes, I would deff. Recommend this product to anyone with normal to dry skin. I’m not too sure how it would work on people that have oily skin around their eyes (there are people that have oily eyes ya know!) But if you’re like me and have extremely sensitive eye areas I would give this a try… I mean the price isn’t too shabby. right?